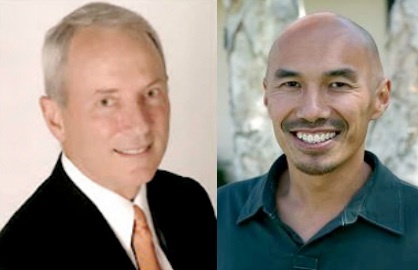 Seek To Know The Truth: Francis Chan Rebukes Mike Gendron? On a personal note, I have heard Mike Gendron's presentation which contrasts Christianity and Catholicism a number of times, and it is hard to imagine Gendron being perceived as "cold" and "sarcastic." I'm not saying he is infallible and might not ever sin in this way, I'm just saying it's very hard for me to imagine it. As I said, I've heard Mike's presentation several times, and I've also listened to him be interviewed many, many times on the same topic. But please don't take my word for it: if you follow this link, you will find a number of interviews that Mike has given. Judge for yourself if he is cold and sarcastic. What you will find, I believe, is that Mike's heart genuinely is to labor lovingly, graciously, earnestly and biblically for the truth. His desire truly is to help Roman Catholics see the futility of their beliefs, and their need for the all sufficient Savior of the Bible, not the "Jesus" of the Roman Catholic teachings who give a nod to Jesus, but not his all-sufficiency. It's not enough that they claim belief in Jesus, the question is: which Jesus? The Jesus of the Bible who made full payment for our sins on the Cross? or the Catholic "Jesus" who couldn't quite get the job done, and needs us to add our works to his work on the Cross to get us to heaven? In closing, whouldn't we all, as Christians, be doing as Mike does, and laboring earnestly with the lost? After all, it is Bible believing Christians alone who have the life-giving truth that all the world so desperately needs. ................After years of setting under the teaching's of Chan "apart from the seemingly hyper-calvinists company and venues he Chan teaches at" He still seems to show fault in a very loving and Bible sound way. The more and more I investigate, I have come to 3 conclusions as of this time I am writing. It could be one soon (which is branding Chan by his fruits and efforts to make the ecumenical movement palatable ~BAD!) Or God has placed a supernatural measure of God's grace in Christ as Paul thee Apostle had? To reach into the most walled forms of how people "do church" and bring home the basics (not placing basics due to his series of BASIC "Who is God?" & "We are Church) of 7 short-length DVD's with workbooks for Bible Study, and more. If we focused JUST on that, brother "as of current" Chan would be a reformer of the American churchianity we are majority shuffled into by man's traditions, and being taught what ever tickles the ear..
**YET, I have deep concern how far and deep he has gone into such denominations! Why? Because he praises the speaker before of after him, who is teaching an erroneous doctrine. So, we shall see. Francis could have started out in the Church/Body and never really been part as spoken in 1 John? Or He could be reaching into a fire, hating even the garments of those who are pulled out..
God's Will be done in Jesus Name, May He continue to get the glory, and may the fanfare of "christian-fame by expose's be snuffed out".... Most of the professing Christians get their smoking gun from secular sources "go figure"
Jesus Christ is Preparing a Place for us, and shall return When Time. Let us focus on Him more than ANYTHING... The secondaries are Second, less we loose our first love!